Less Hungry. Your cravings for sugar and carbohydrates will subside. More Energy. You will be able to do more things you love. Deeper Restful Sleep. You’ll wake up feeling rested and alive. Less Moody. You’re mood swings will decrease as you balance your blood sugar. Radiant. Your skin will begin to noticeably change and glow as you remove toxins and begin to eat better. More Productive. As you feel better and can stay more focused. Confidence. That comes from taking care of yourself and your new, renewed energy. Educated. On myths & facts of healthy eating, proper nutrition and helpful supplements. Prepare. Review recipes and shopping lists and set goals that are specific to you. Detox. By eliminating sugar, coffee, meats, dairy, soy, corn, beans grains and any other common allergins. Learn about inflammation and why you need proper supplementation. Begin. Your new direction. You’ll review food charts and prepare shopping lists. 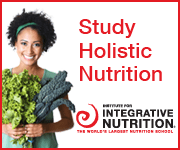 Learn nutrition concepts to apply to you decision making. Hit your Stride. Learn why moderate exercise is a main key to unlocking your best self. Check in. After your program, you’ll evaluate how you feel and any changes you are experiencing. Expand. Your recipe repertoire with simple, healthy alternatives. Keep Going. Hayley will guide you on how to stay on this program for life. You’ll get tips, strategies, recipes and more in order to enjoy your new direction and never look back.